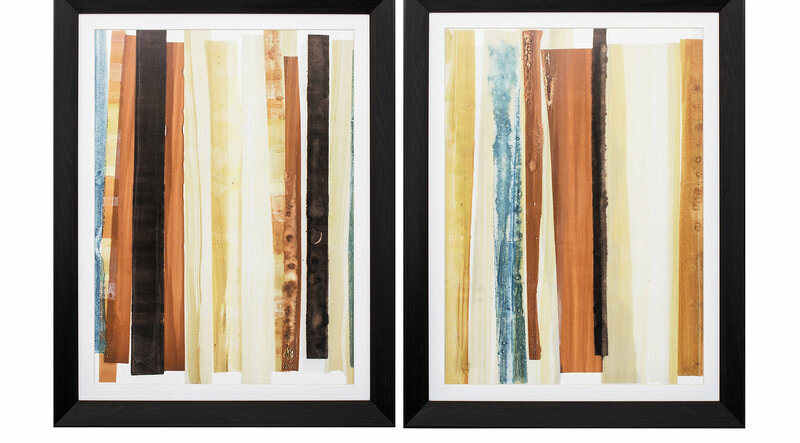 A set of two abstract prints with terracotta earthtone colors. This set is single matted framed under glass with a complementing expresso brown molding. This set is ready to hang and is hand assembled in the USA!